Million Dollar Money Drop: FOX’s Latest Game Show Disaster! The last time that a game show made head line news was almost exactly one year ago with FOX’s “Our Little Genius” in January. 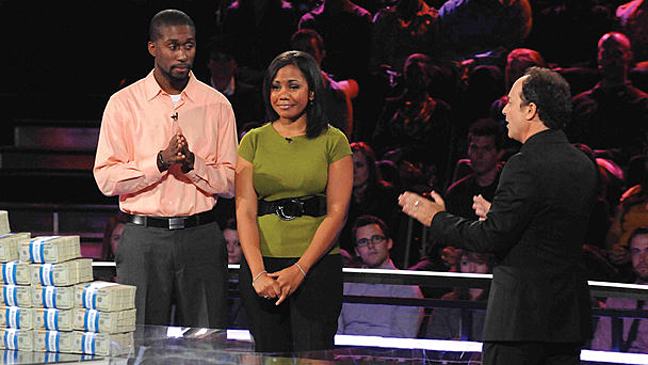 The network has managed another game show controversy in “The Million Dollar Money Drop” with coincidentally, the same host – Kevin Pollak who recently opened-up about the right answer given by a team of contestants that was deemed wrong by show producers in a “Yahoo!” article. We have an insider report from the set. We were the first to witness it. Our on-set report about the show stated by one of our sources that “the producers did not know ahead of time which questions were correct and which ones were not while contestants were playing the game. They were just as surprised as the audience when certain money was dropped”. Game shows are required to provide a safe and fair game playing environment for all contestants governed by a team of officials called “Standards & Practices” (S&P). Unfortunately, somewhere – some how – someone drop the S&P ball. Thus, a major problem for the contestants who were given an unfair game no matter what the final outcome was. For some reason, Pollak seems to think that it’s okay for a correct answer on a game show to be mistaken for an incorrect answer by the show itself. He stated to REUTERS that because the contestants followed their “wrong” answer with one that was really wrong, they were destined to not hold-on to their $800,000 winnings anyway. Pollak said, “they lost everything on the next question. It’s a non-story”. Because of the mass attention the incident has gotten by media, the contestants who are a boyfriend and girlfriend couple will be given another chance to revisit the show and take another stab at keeping their game show winnings by not letting their money drop. Pollak also stated that he was not happy that the two contestants are reluctant to return to the show but are doing so with hesitation. Who can blame them! Most likely, there is a back-story that might go something like this – the show admits that they screwed-up. But, brushes it off until – Uh Oh! The flood gates are wide open for media scrutiny. So, now they do the right thing by giving them a new game. Their show date has not been announced yet. However, we will keep a watchful eye out for them.